South part of the octagon wall surrounding the column. 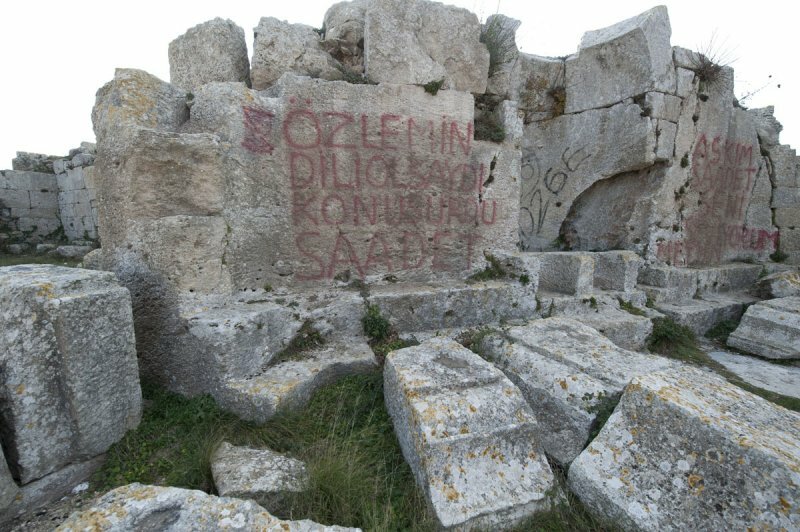 A viewer informed me the graffiti are "If yearning had a tongue it would speak Saadet" in at least one of the texts. Flowery language but I could do without.